Caramel "Rakovye Sheiki" (Lobsters' Necks) buy for 6.4900 in store RussianTable with delivery. 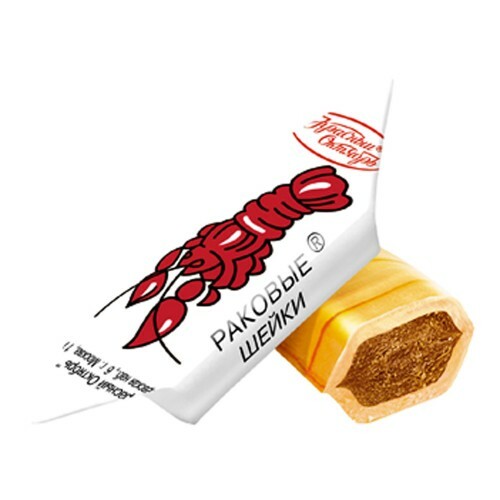 "Tradition caramel ""Rakovye Sheiki"" (Lobsters' Necks)." Sugar,syrop,cocoa mass,nut kernel mass,cocoa butter. Do you have any questions about Caramel "Rakovye Sheiki" (Lobsters' Necks)?